In 1896, two beacon were built in the port territory. 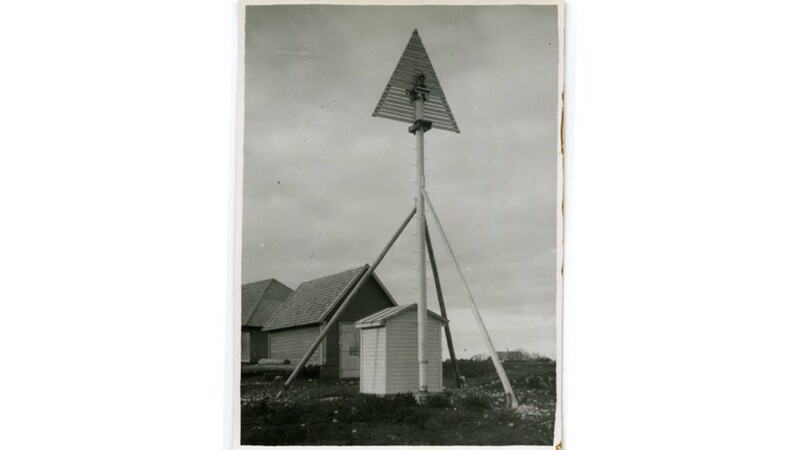 The beacons were relocated in 1935 when the port roadstead was dredged. The lower beacon at Heltermaa in the 1930s.